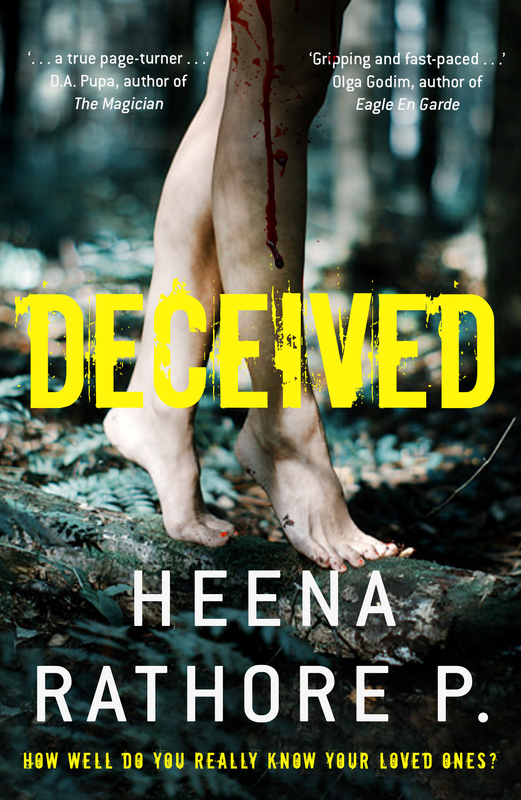 First brief glimpse of Deceived – Heena Rathore P.
July 1, 2015 August 19, 2016 by Heena Rathore P.
A girl who’s trying to cope with the murders of her mother and 5 year old brother. A journalist who is chasing the ghost of a long lost serial killer. A teen who murders her parents. A psychological-thriller that weaves it’s way through the sadistic past of a traumatised child to the web of dark secrets of a beloved father. I slowed down to a stop, bent on my knees and started to take in big gulps of air. I tried to listen for footsteps over the loud pounding in my head but I heard nothing. A flood of relief washed over me and I sighed. I was alone. All of a sudden I felt that someone was standing right behind me. I felt a warm breath on the nape of my neck and started to turn around when something heavy hit my head. I started to hear a distant echo in my head and fell on the wet ground. It was still raining. The world started to blur and it was painfully difficult to keep my eyes open. I could feel something warm around my cheek, blood. 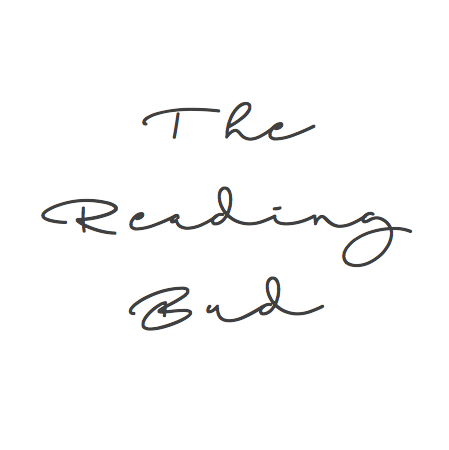 I really hope that you guys like the blurb and the excerpt. Please feel free to voice your opinions. Note: This is not necessarily the final thing. But for now it is. Awww… thanks a lot Maccabros! So intriguing, Heena! Congrats on this wonderful achievement! Loved what you’ve shared hun and I really can’t wait toread the entire book 📗 yummy, lol. Thanks for the sneak preview, Heena. Where and when can we buy it? It’s not yet published, but it’ll be available by January (hopefully.) I’ll definitely let you know whenever it’ll be available on Amazon. 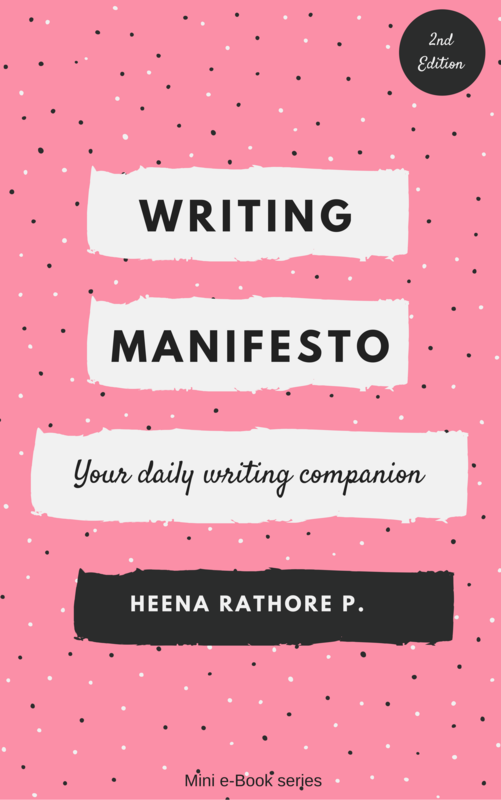 Pingback: Writing Progress: Camp NaNoWriMo (July’15) | Heena Rathore P.
your glimpse makes one want to pick up the novel and read it right away to find out what happens!! that kinda writing is difficult and you have done it! cool! are you gonna post any other excerpt? Thanks a lot, Hemangini. This is the one from my earlier drafts. I’ve edited it (almost 5 times since.) I’ll be sharing the fresh prologue very soon, probably Feb’16. I’ll be sending my book for professional editing this month so by March I can share the excerpts also. Hopefully by July my book will hit the market. wow… Its awesome to see that your book is going to be published!! I can’t imagine how thrilled you must be! I can imagine how you must have worked like crazy on the book… It’s like having your first child!! haha now I am going overboard maybe but when my sister was pregnant I kept telling her, there’s a miracle in your tummy and she used to laugh and say well that’s one tough miracle!! Thanks a lot, Hemngini! And yeah, it was one hell of a tough child for me too!!! As they say, writing a book is indeed like bleeding on a typewriter (or Macbook in my case.) If it wouldn’t have been for JuNoWriMo and Camp NaNoWriMo, I would have been still sitting with my first draft.